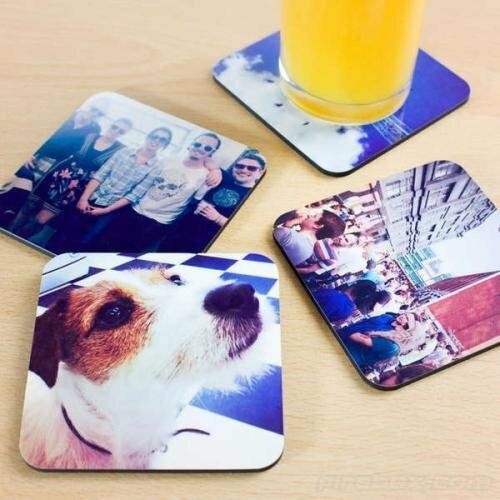 Our 3-5/8" hardboard coasters are a great gift when you include a favorite photo, artwork, or saying and incorporate your recipient's decorating scheme. Purchase in any quantity, as just the coaster itself or coaster plus mahogany-colored holder. Price includes full-color imprint with submittal of high-definition photos and/or graphics at time of order. Please see Artwork File Formats for acceptable formats. Our 4" x 4" hardboard coasters are a great gift when you include a favorite photo, artwork, or saying and incorporate your recipient's decorating scheme. Purchase in any quantity individually, or as a set of 4 with mahogany-colored holder. Price includes full-color imprint with submittal of high-definition photos and/or graphics at time of order. Please see Artwork File Formats for acceptable formats. This beautiful 5 1/2" x 5 1/2" x 2 1/4" Brown Gift Box boasts a customizable Ceramic Tile which can be imprinted with your message and color logo of your choice. 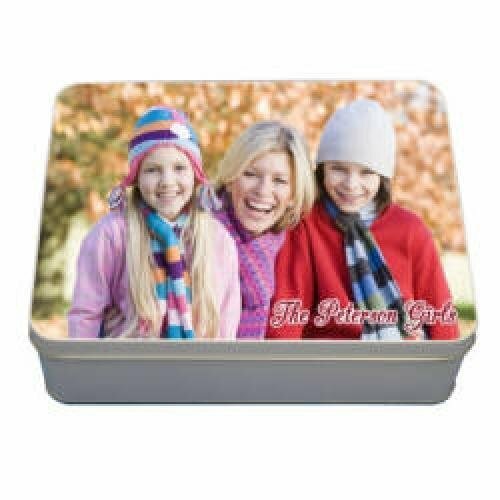 5-1/2" x 5-1/2" x 2-1/4"
What a fun way to show off your favorite photos. 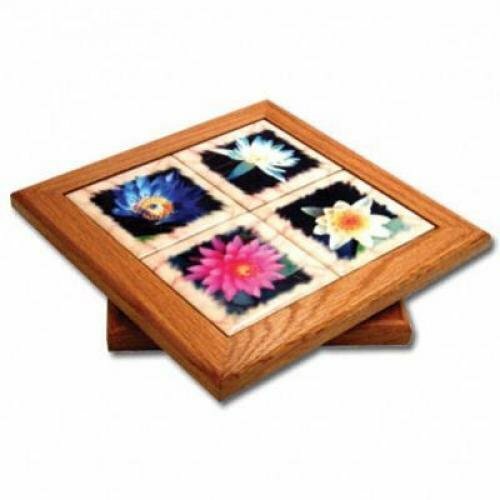 This maple-stained wood lazy susan (measuring 11.5" square) features four 4.25" tiles that can be imprinted with full-color photos or other graphics. 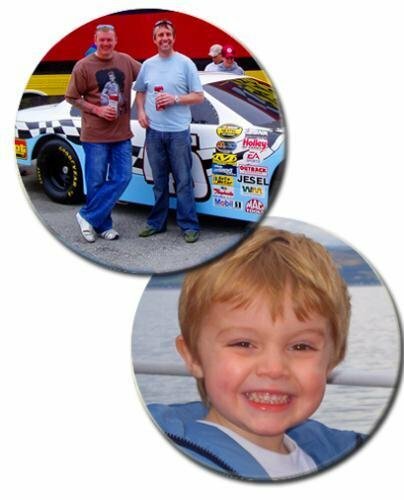 Include a picture on each different tile or create a staggered effect of one picture across all four tiles. Price includes full-color imprint of all four tiles with submittal of high-definition photos and/or graphics at time of order. 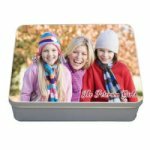 Add your favorite photo, message, or design to these handy metal storage tins, and then add a matching puzzle (sold separately, here) or imprinted wearable (sold separately, here) for a great gift item! 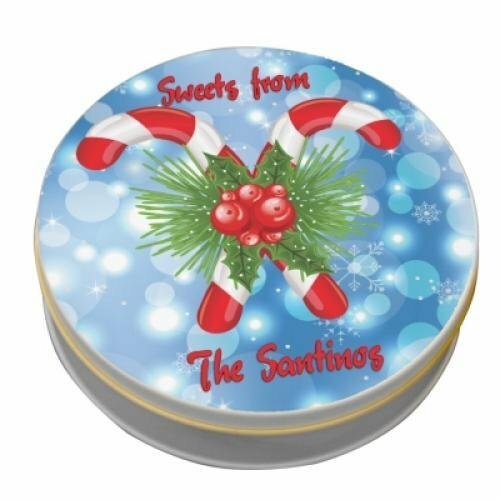 Silver tins available as a 5" x 7.75" x 2.5" (deep) rectangle or 5.75" diameter x 2.5" (deep) circle. Imprinted top is white and may include any number of colors. Price includes full-color imprint with submittal of high-definition photos and/or graphics at time of order. Please see Artwork File Formats for acceptable formats. Perfect for those cool nights in the bleachers cheering on your team, or just a cozy night at home on the couch, this 35” x 54” throw has 9 panels to be personalized with your favorite photographs. Preserve those special moments in time and wrap yourself up in warm memories with what is sure to be a treasured keepsake. Add your favorite photo, message, or design to these fun puzzles for a one-of-a-kind gift. Choose from 63-piece rectangular puzzle measuring 10" x 13.5" or 75-piece heart-shaped puzzle measuring 7.5" across Face color of puzzle is white and may include any number of colors. Price includes full-color imprint with submittal of high-definition photos and/or graphics at time of order. Please see Artwork File Formats for acceptable formats. 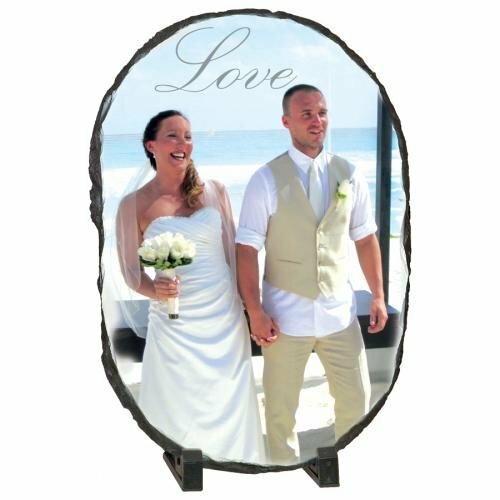 This unique item is a perfect way to display a favorite photo. 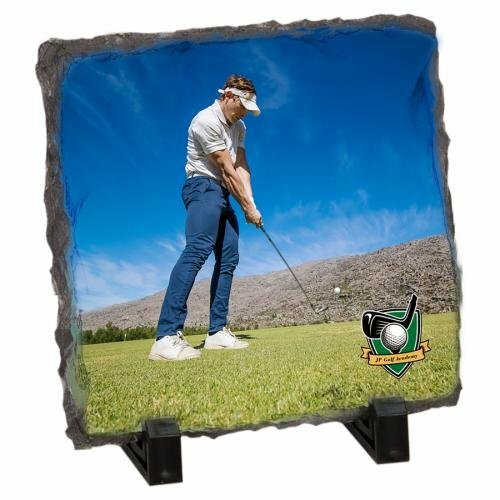 Made of actual slate stone with natural chipped edges, photos and other graphics are permanently applied through our special sublimation process. Several shapes and sizes available with "feet" for standing upright. 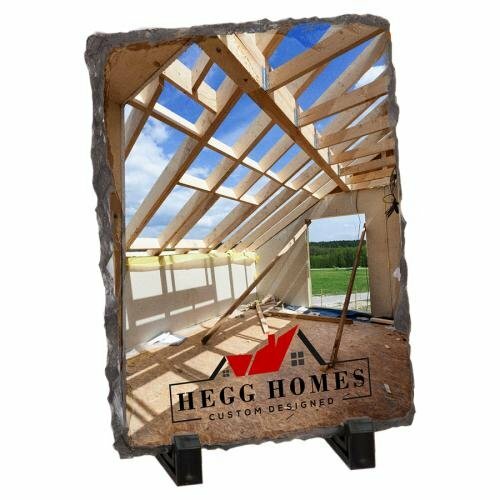 All sizes approximately 3/8" thick. 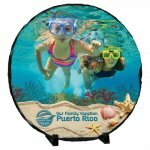 Price includes full-color imprint with submittal of high-definition photos and/or graphics at time of order. Place in cart to order online, specify text, and attach photos and/or images. Please review Artwork Requirements before submitting your photos and/or images. Please note that we have moved from our South Tacoma Way location. We no longer have a pickup location, so all orders will be DELIVERED TO YOU. If you are an established customer who has historically picked up your orders from us, there will be NO CHARGE for delivery to you, regardless of your location. Deliveries will be done in-person or using USPS, UPS, and/or FedEx services.